Coming from California, I’ve learned to enjoy wineries, artisan wine and the lush and beautiful landscapes of neatly ordered vines growing for what seems like miles. So when Eric brought up the idea of going to a winery for a date, I was 1) excited as wineries feed my California nostalgia and 2) surprised to find out there’s actually wineries that are a short drive away. 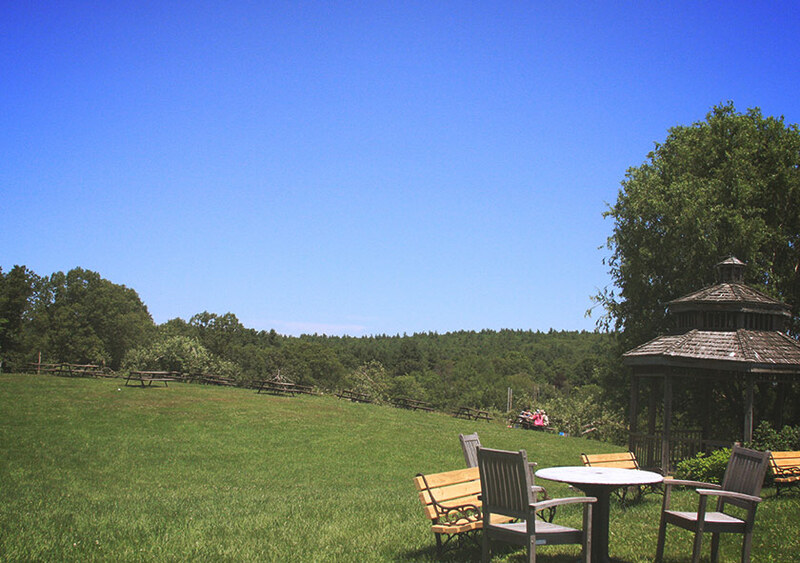 We packed up our car for a day trip and headed to Nashoba Valley Winery, an hour from both Boston and Providence. 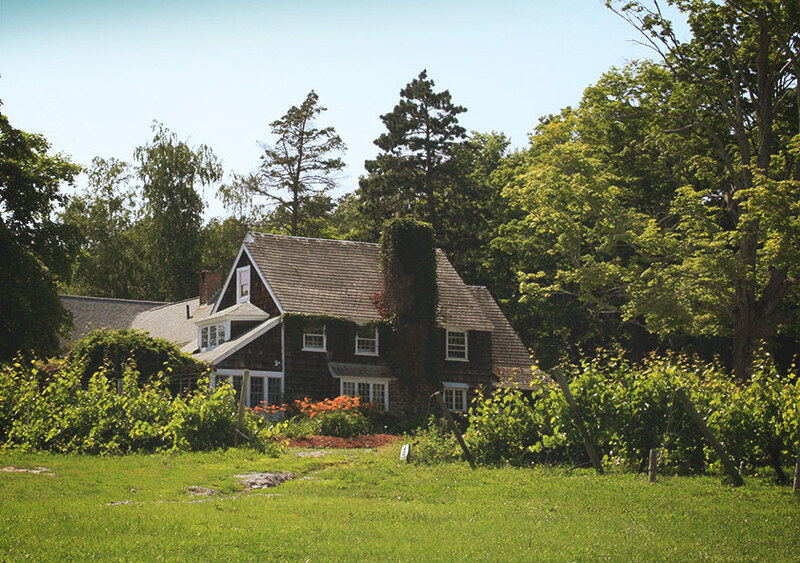 Nashoba Valley Winery is a little slice of heaven for the wine connoisseur, the diner, the apple and peach picker, or anyone who wants to enjoy a beautiful day. I think what makes this winery really different from all of the wineries I’ve been to in Napa and Temecula is it’s mix of grape vines and orchards. We were surprised to find out that they have a vast array of wines, spirits, cider and beer – perfect for the wine expert (me) and the craft brew lover (my husband). Though their wine isn’t the best I’ve ever had (I think I have higher expectations than most), a lot of their wines have creative fruit bases like berries, peaches, apples, strawberries, rhubarb and cherries, which you normally don’t find to be dominant in California wines. Peaking around their orchard area, we also found out they open their orchards during picking season! This was something we missed out on last year so I’m sure we’ll be heading back in September. Check their website for up-to-date conditions and when it’s the best times to pick apples and peaches at their orchards. With abundant and beautiful outdoor, picnic style seating, sweeping views of orchards and grape vines, it almost felt like we had escaped to a vacation destination for the day. The best part is it’s 5 minutes off of the highway. Want a break from the sun (said this Californian, never)? We found a beautiful gazebo and plenty of deck seating under the grape vines with a view of the orchards. For the day, we packed a picnic to eat on their massive lawn (check our Perfect Picnic Recipe post for ideas on what to bring for lunch) but upon arrival, we found out they also have a beautiful little restaurant you can grab a picnic to go. Although it’s a little pricey ($15) and you need to order one hour ahead of time online, it’s convenient and they have a yummy assortment of choices. You can also make reservations ahead of time and eat in the actual restaurant, which is a cute, rustic farmhouse with small intimate rooms and from what we’ve heard, amazing farm to table food. 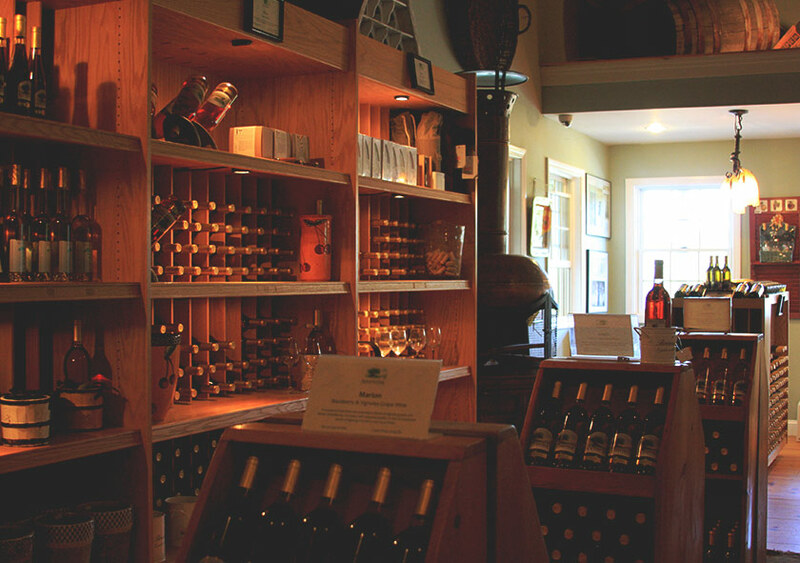 All in all, Nashoba Valley Winery was such a great find. We discovered this place as a “make of it what you will”. In other words, it’s the perfect afternoon excursion and a flawless place to have whatever kind of date you want – whether you want to go orchard picking, wine tasting, or picnicking. We believe that dating after the wedding bells is as much a priority as dating before those rings were slipped on your fingers. Why? Because time develops intimacy. 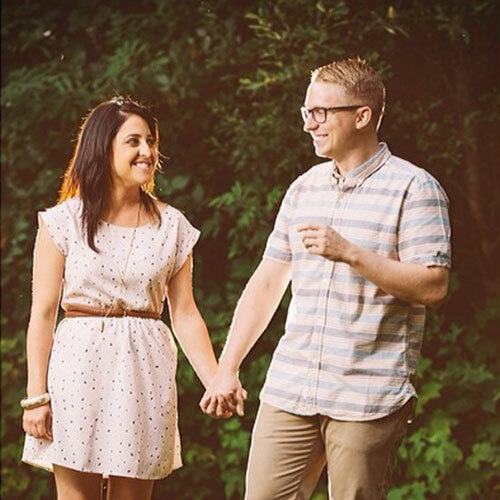 Committing to spending intentional time together with consistent date nights will transform your marriage. Those pictures of the winery look great. I can only imagine what it’s like seeing New England wineries after living in CA. New England tends to make decent white wines, but the reds are kind of hurting compared to the west coast. Maybe I’ll take my wife over to Nashoba for a visit! I’m still learning the East Coast grape varieties and flavors. I made the mistake of going right to the Pinot Noir, which is great in California but not so much here. I was happy with their Renaissance (a dry, red mix) though! Hope you guys enjoy the trip if you get a chance to go!